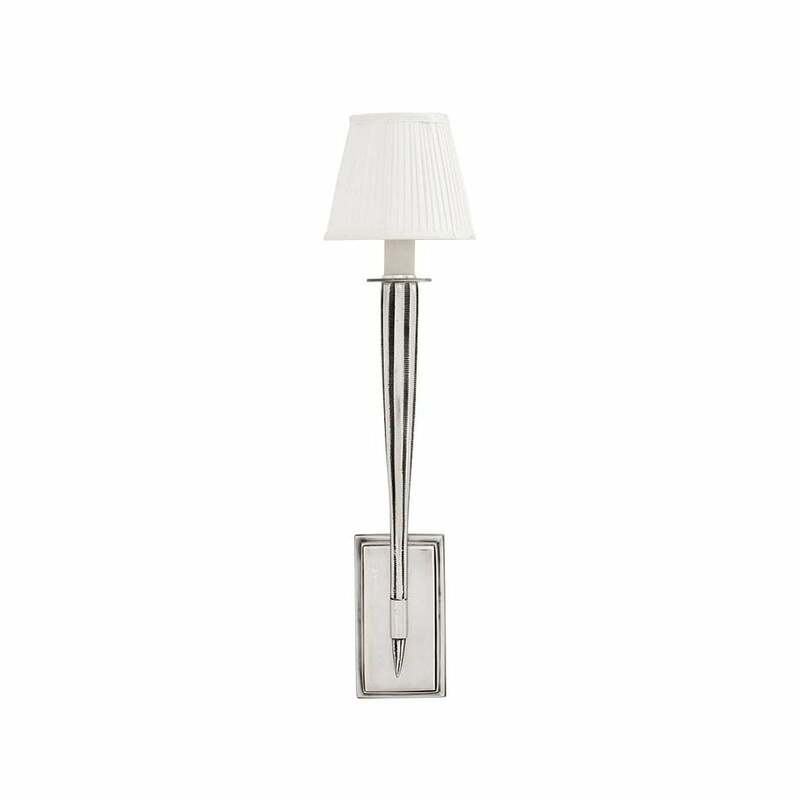 Inspired by the delicate stem of a flower, this single arm wall lamp will add a touch of luxury to any home interior whether traditional or contemporary. Finished in antique silver, this sophisticated design is complemeted by a pleated white French drum shade. Install in groups of two or three to create an impact. Hand-crafted by skilled artisans, combine with other pieces from the Mayflower range for a cohesive lighting display. Get in touch with our team of experts for more advice and information.